Note : The AAC-1000 has 2 RS485 ports, all other products require a converter. Navigate to Sedona-app-drivers-bacnet-ip and change to port to enabled if it is not already done. Router operation requires a valid network number to be entered. 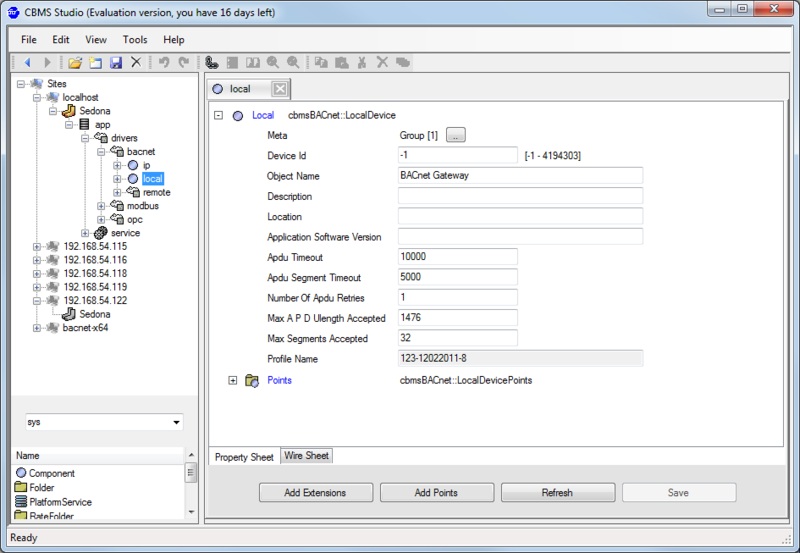 All devices connected to the IP network with same UDP port number must use the same network number. In router operation it will forward packets based on the network numbers. If an error occurs, check the FAQ’s for an answer to these common errors. Port used by another application. Navigate to Sedona-app-drivers-local and view the property sheet. Make sure that the Device Id is NOT set to a negative value. 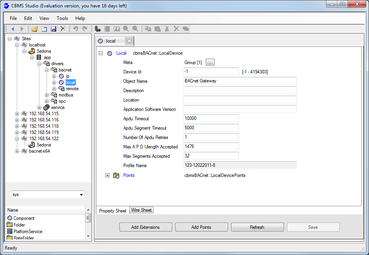 Each device on the BACnet network needs to have a unique value, if not there will be conflicting device id’s and unexpected results can occur. If you are using the AAC-1000 then an MSTP port will already be defined and you can go to the next step. For all other products you will need to add a PortMSTP component from the pallet. 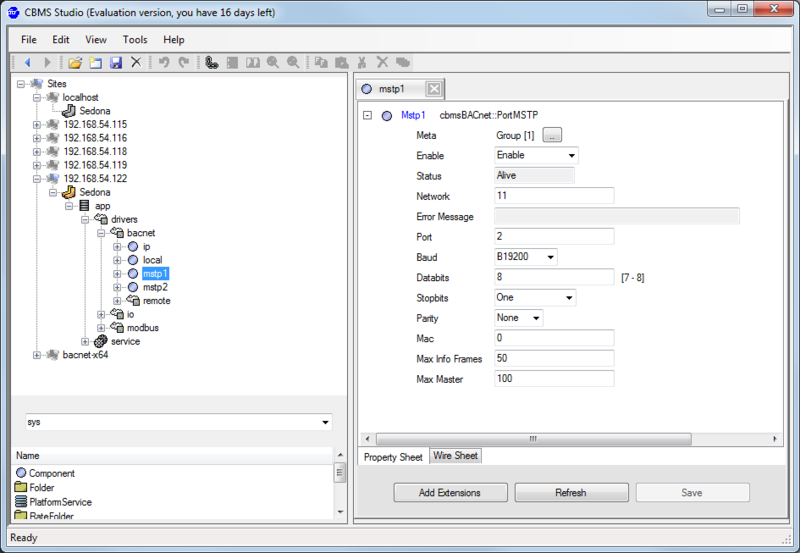 Select the cbmsBACnet kit from the dropdownlist and then locate the PortMSTP component and drag it to the bacnet leaf in the tree view. 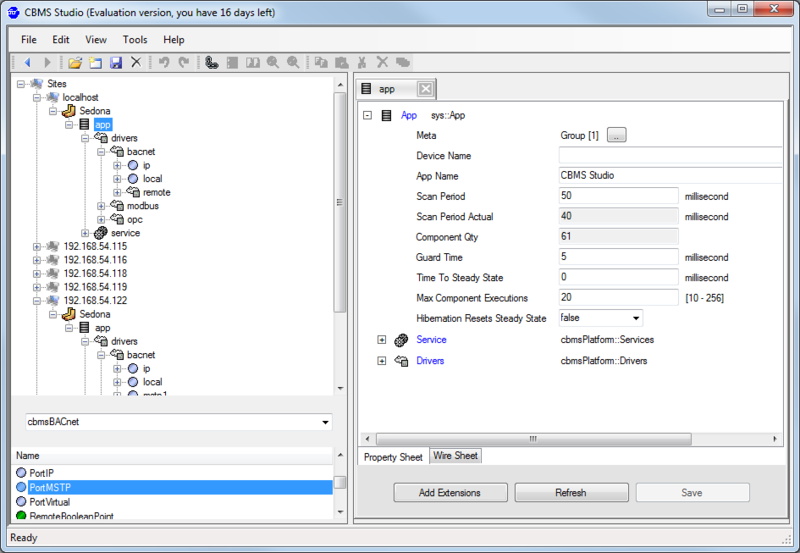 Navigate to Sedona-app-drivers-bacnet-mstp1 and change to port to enabled if it is not already done. Router operation requires a valid network number to be entered and it must be be a unique number. If you are installing 2 or more MSTP routers, then each router must use a different network number for the MSTP ports. 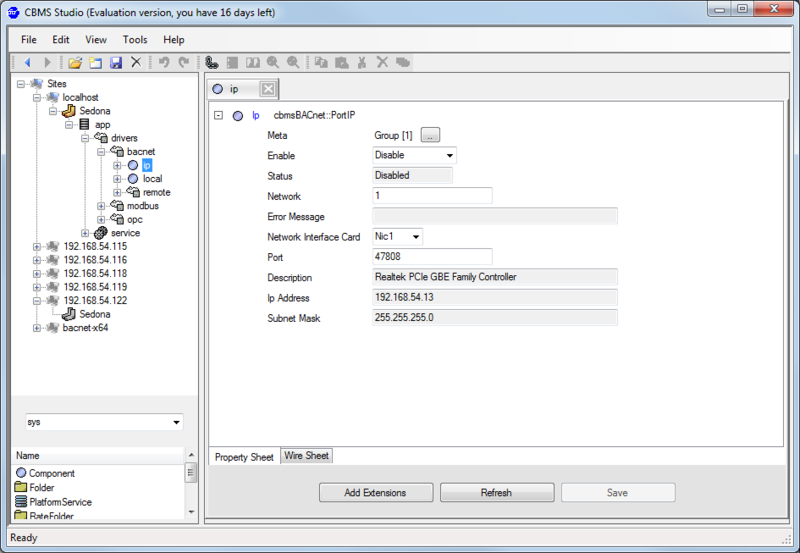 The IP network numbers will be identical if the routers are connected on the same IP network.